Cork County bludgeoned their way into the Senior Cup Final with a massive 224 run victory over Midleton at the Town Park. Leading run scorer was Munster Reds Captain, Stephan Grobler who scored 206* off 140 balls hitting 19 fours and 6 sixes. County Captain, Cormac Hassett, scored 68 before being caught by Kieran O’Reilly off the bowling of Dean Wilson. Robert Duggan scored an unbeaten 59 to secure an easy passage into the final where they await the winners of the Limerick & County Kerry Semi-Final. The Senior Cup Final now takes place at the Mardyke on Saturday, 13th August, following a re-scheduling due to last weekend’s National Cup Q/F involving County Kerry. 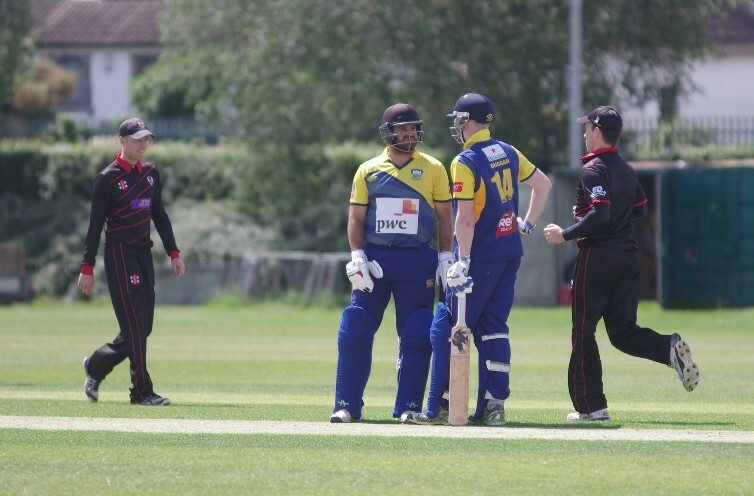 Midleton will be glad so see the last of County for this season having lost in the league the previous weekend by 8 wickets at the Mardyke where, man of the match & current Under 19 International, Aaron Cawley top scored with 63 and took 3 wickets for 15 runs. County reached the required target of 123 in 20 overs to record their 5th win from six starts putting them 46 points clear of Limerick who do have a game in hand. It would be a huge gamble to bet against County retaining their League title with four games remaining. Cork County 423-2 (Grobler 206*, Hassett 65, Duggan 59*, Saddique 36) beat Midleton 199 all out (Saddique 4-55, O'Sullivan 3-37) by 224 runs at Towns Park.